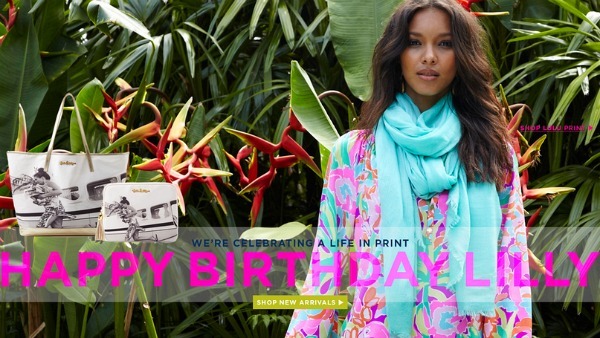 This past weekend, Lilly Pulitzer celebrated the life of their colorful founder for her birthday. While Lilly Pulitzer Rousseau may no longer be with us, true Lilly girls know how to turn everything into a great party – with sunshine and a little pink, of course! Life’s a Party, Dress Like It! Turn every day into a celebration with this outfit! 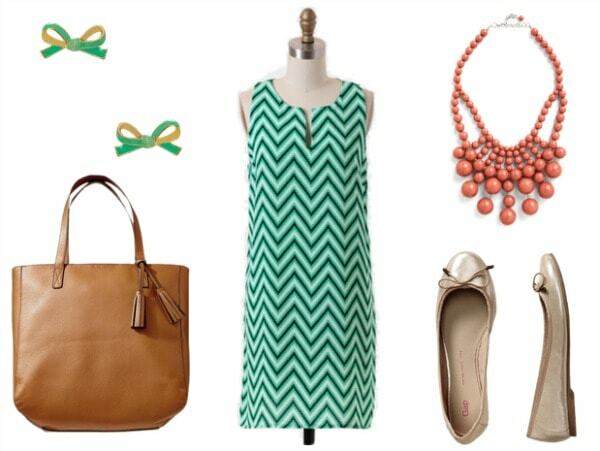 Wear a fun chevron print shift dress, a tribute to Lilly’s signature fit, with metallic ballet flats. Add a statement-making bauble necklace and a pair of bow stud earrings, then grab a classic tote bag to store the necessities for class. Rock a sunny vibe, no matter the forecast, with this ensemble! Pair a flowy blouse with coral-hued jeans and mint wedges for a sophisticated yet colorful look. Throw on a playful floral print scarf for an extra Lilly feel, then finish the outfit with a metallic fold-over clutch that’s perfect for holding the essentials for a fun night out. Are you a fan of Lilly Pulitzer? Do you wear colorful looks year-round? Would you wear any of the looks above? Which outfit is your favorite? Would you like to see more posts like this in the future? Let me know in a comment below!